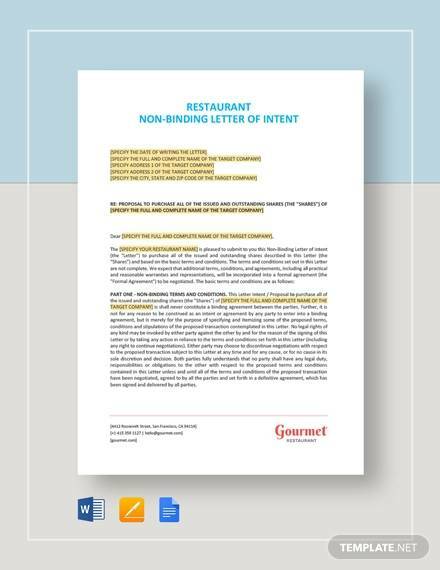 Letter of intent is a mandatory part that marks the beginning of an official deal. It can be used for expressing interest in buying a real estate property, leasing a commercial property, applying for an internship program, buying professional services and much more. 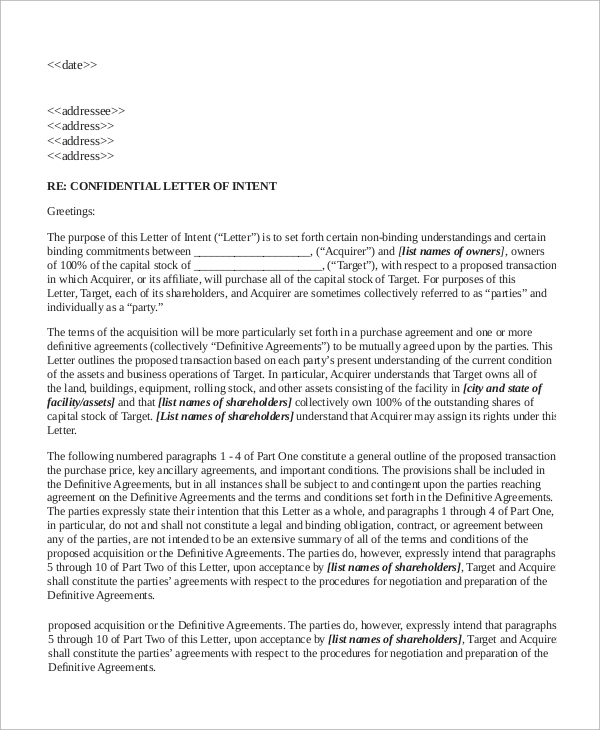 The following letter of intent examples has the perfect format and template with sample statements. 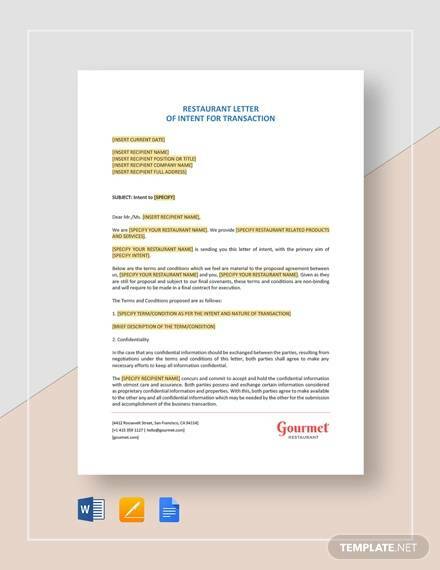 There are different types of popular Sample Letters of intent to express interest to initiate a deal and you can keep that as an official document for future use. 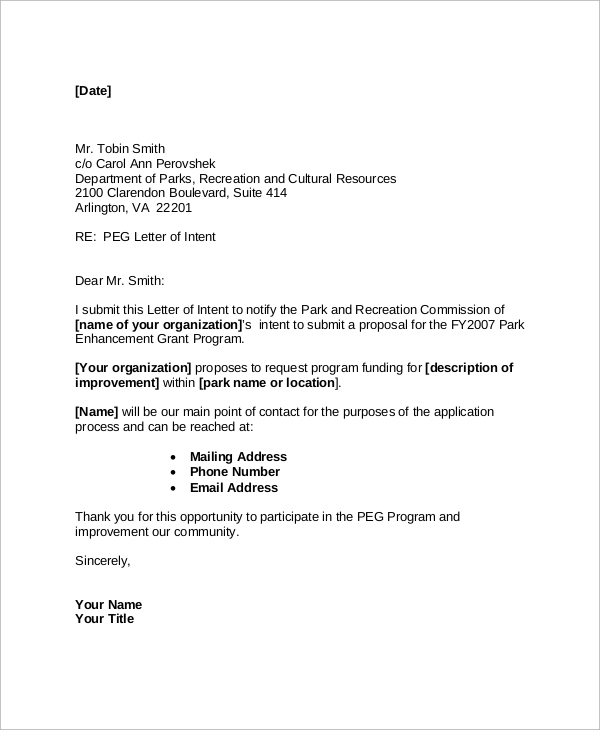 This is a sample of final letter of intent from a company or any organization to express their interest in taking part in a certain event or hire third-party agencies to conduct different programs in a said place. It mentions the terms and conditions of the entire deal. 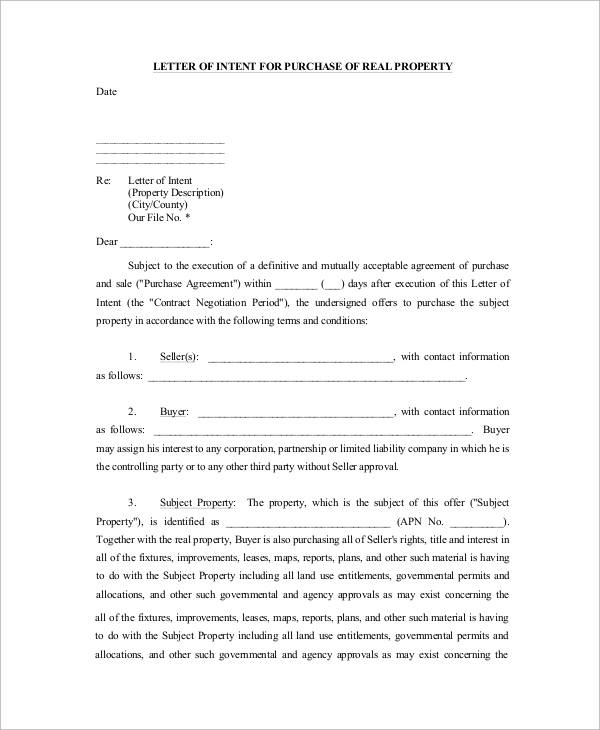 This is a perfect format for Letter of Intent to Purchase Property. It lists the details of the property, the buyer’s information, purchase price, term of purchase, initial deposit, opening and closing of escrow and other necessary provisions to express the interest clearly. 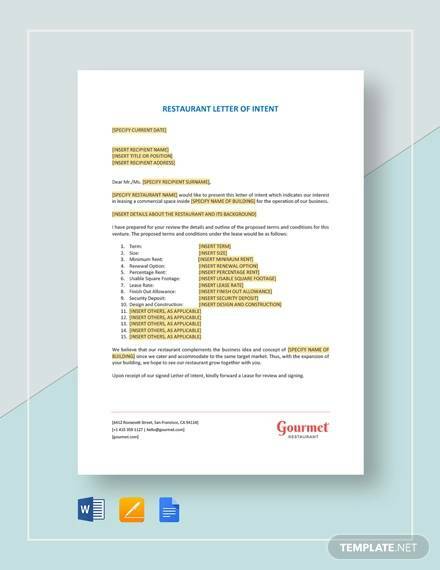 It is an Intent Letter of Internship that originates from students to do an internship in particular company or organization. 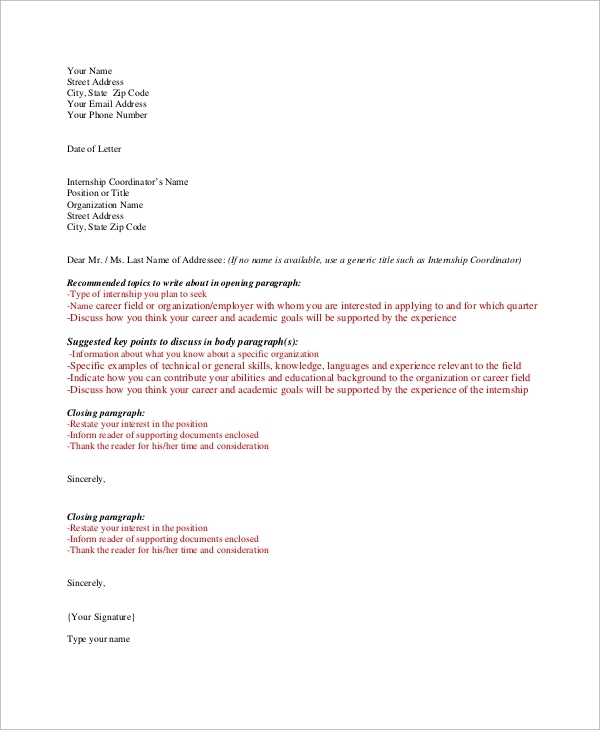 It provides all the required guidelines to write impressive content on different paragraphs along with sample statements to impress the reader. The Sample Letters of Intents have broad application. They are legal documents that initiate an official deal and it can be used in the future in case of any disputes. Sometimes, they are written for records before a deal finalizes to make the entire process transparent. 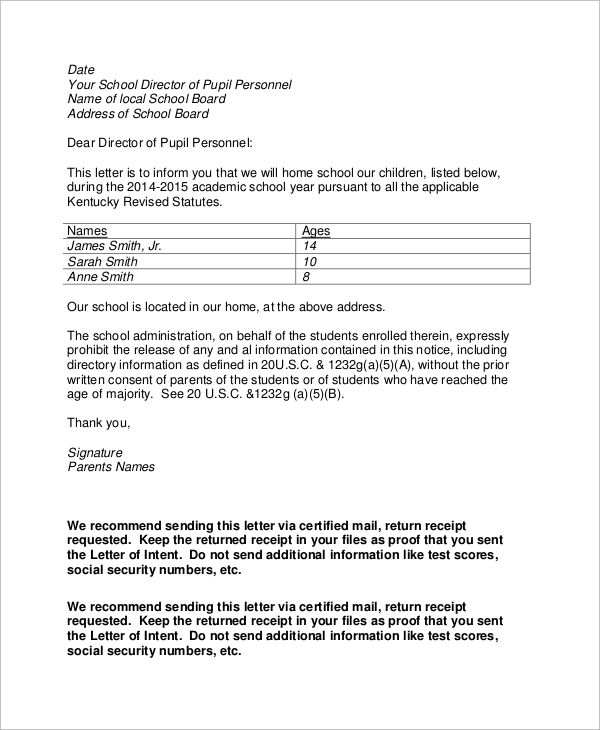 The provided letters have the perfect format and templates, and one needs to fill the blank spaces with appropriate data. They find usage in every walk of personal and professional life. 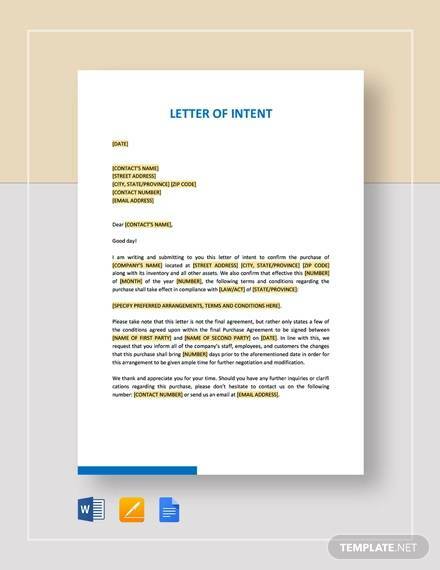 Any business transaction, a candidate hoping to get a new job or internship program or even admission, buying service or property begin with a letter of intent to express interest and specify terms. 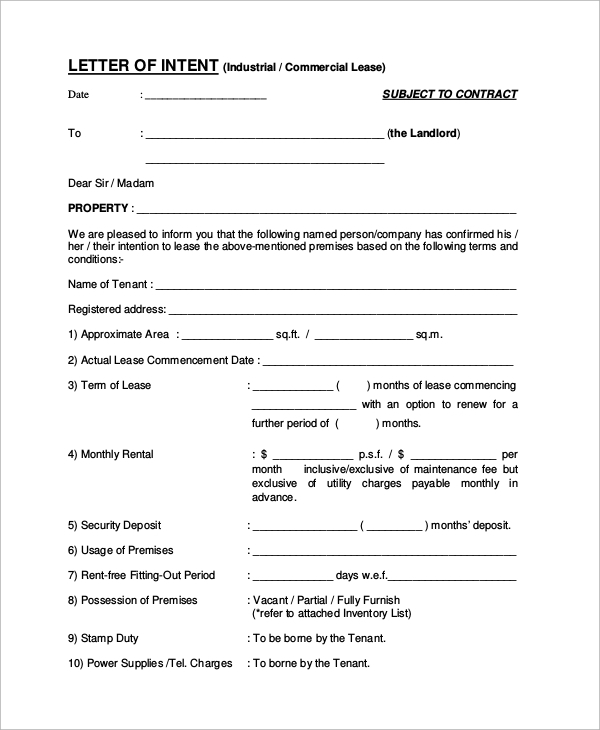 This is a sample format of letter of intent for commercial lease. It can be written for the interested party or even by an agent. It lists the details of the would-be tenant, term of the lease, monthly rental, security deposit, mandatory general terms and conditions and if the landlord agrees, he can sign and make it official. 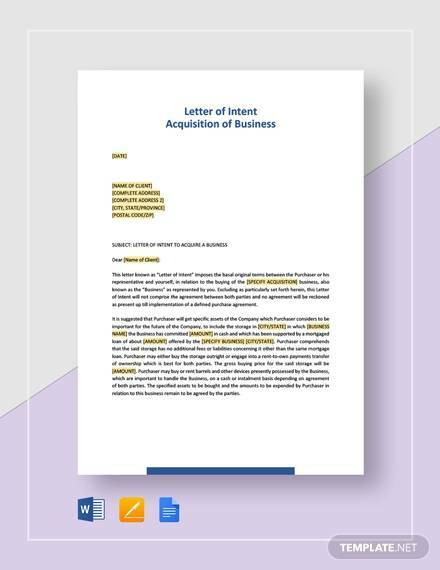 A business letter of intent is written to buy a specific service from another company or to go for collaboration. 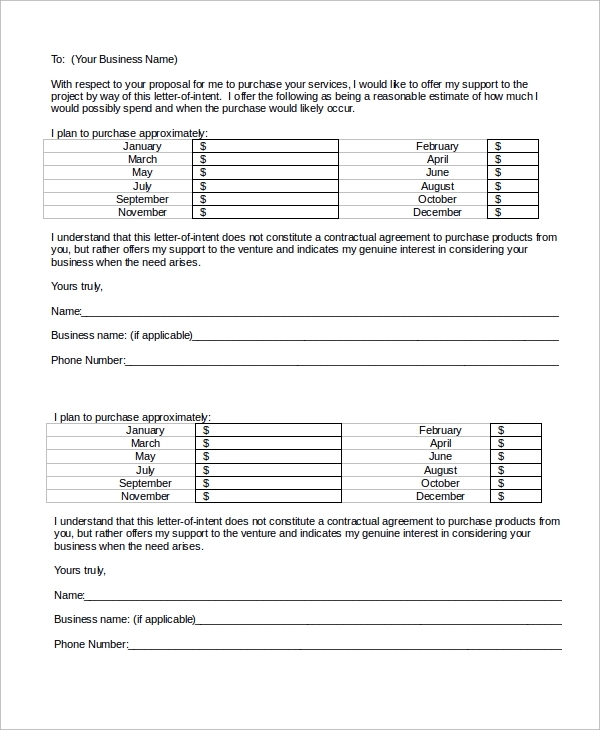 The given sample is to purchase a service, and it lists the transaction amount, how it will be paid and the requirements the service needs to fulfill. 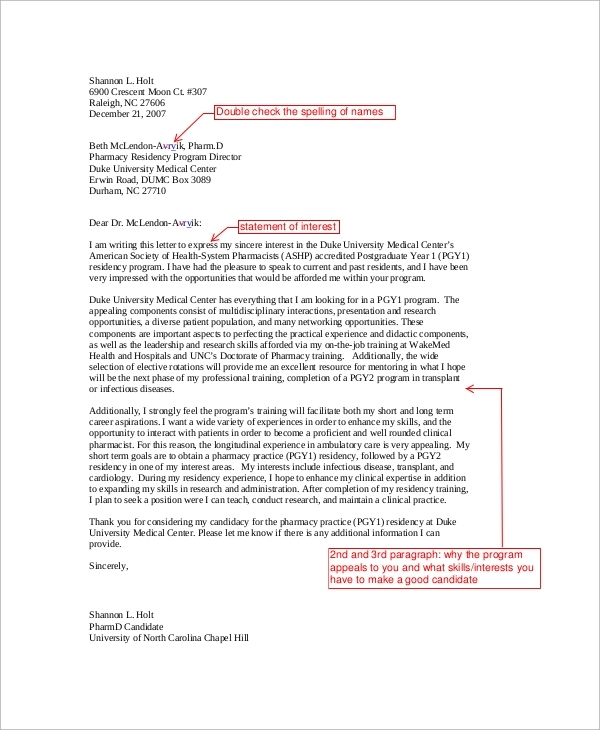 The targeted audiences for the Sample Letters of Intent examples have a wide range. Every company needs them to buy services from other companies or to collaborate with peers to start a new product. Students need to apply in different internship programs or to take admission in different schools and colleges as per their desire. Fresh graduates need them to apply in the desired company for a job. They are crucial for a real estate deal, primarily real estate agents to connect the buyer and seller. 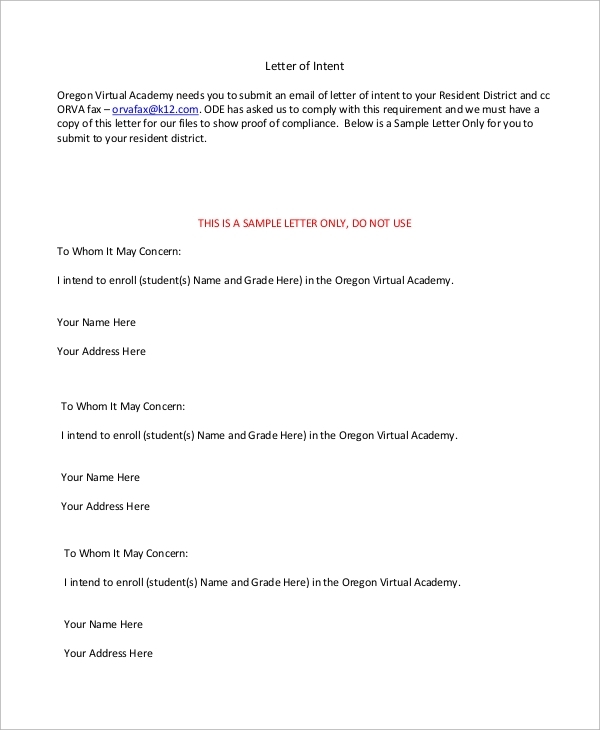 The above-listed sample letters cater to a wide category of the letter of intent such as Intent to Vacate Letter, letter of intent for medical school admission, for an internship, to lease commercial property, buy services and likewise. They are available in a template format, and they are printable. All one needs to do is fill them up and dispatch.